If your search for advertising services started with a search engine, you’re not alone. With the plethora of “top marketing agencies in Fort Worth” and other “best of” lists, how do you choose a marketing firm that lives up to the hype? Especially when any advertising agency in Fort Worth can set up a business profile on UpCity or Thumbtack. Some even pay to be certified partners for enhanced visibility or when a new customer contacts or hires their business. Compare Fort Worth agencies and you’ll quickly notice a pattern: a focus on big brands with even bigger budgets (Warren Douglas Advertising: Jamba Juice). Other creative agencies concentrate their efforts on branding or digital marketing, overlooking or underestimating the benefits of direct mail in a full-service advertising strategy (PMG, Balcom Agency). Interestingly, clients often jump from agency to agency, which may demonstrate a lack of customer service, poorly managed campaigns or underwhelming advertising results. From audience targeting to creative design to offer recommendations to post-campaign analytics, everything is included in a Valpak marketing campaign. You only want the best for your business, and we do too. Contact your Fort Worth advertising team at Valpak to reach up to 370,000 prequalified households across north-central Texas each month. Break through the noise and reach relevant consumers across Greater Fort Worth advertising with direct mail. Once, print advertising lacked the targeting/retargeting capabilities of digital, but that’s no longer true. Direct mail is the preferred medium for the many consumers who are tired of overflowing email inboxes and pop-up ads. It elicits a strong emotional response, strengthens brand awareness and establishes trust with local consumers. If you’re not doing direct mail, chances are your competition is. Creating an effective direct mail ad is much more than being in the right place at the right time. In a society of sensory overload, consumers are exposed to hundreds of advertising messages each day. Research shows that most consumers will only give a coupon three seconds worth of attention to determine whether it fits their needs or wants, so it’s important to utilize simple and clear ad design to make the right first impression. Direct mail is most certainly not one-size-fits-all. Valpak provides a variety of direct mail formats to fit every business need, large or small. Not sure which format is right for your business? Ask yourself what you need your advertising to achieve and the answer should become clear. Still not sure? You can always contact your Valpak of Fort Worth advertising agency for a free consultation. To try direct mail for the first time. Give consumers a reason to try your business with coupons. These affordable mini-billboards incorporate lean design, which is easy to scan with one offer, one image and one headline. When you need more ad space. Showcase your menu or product line with the additional space of direct mail flyers and circulars. These larger-print formats are also ideal for multilocation businesses, seasonal offerings and special events. To encourage and reward loyalty. Use the cardstock format, available in multiple finishes and paper thicknesses, to create a loyalty rewards card for current customers. Redemption tracking to ensure one-time use is also available. When you need a custom solution. From the mailing list to the direct mail format to the mail date, everything is customizable with solo direct mail. Because of our size and scale, we can save you money too by passing along volume-pricing savings. Once you choose your direct mail format and start advertising with Valpak, it’s time to track the performance of your marketing. Log in to your marketing ROI dashboard to track any and every response to your print ad, including phone calls and website visits. Our call tracking software can also help you monitor the quantity and quality of phone calls from your direct mail ad. Use it as a performance management tool and to increase staffing efficiency. How consumers shop has changed drastically in the last decade. From price-checking while in the store to scouring online reviews to asking for recommendations on Facebook, the shopper journey has morphed to create more intelligent and aware consumers. While Valpak is most often recognized for its direct mail capabilities, our portfolio of marketing solutions encompasses digital marketing too. In fact, your Valpak Fort Worth digital marketing agency is recognized as a Google Premier Partner, which means we’ve met an extensive list of requirements from Google, including Google Ads certification. This partnership status is not given lightly, and we work hard to ensure every digital marketing campaign we produce exceeds the expectations of our clients. You don’t have to be a professional designer to benefit from digital advertising with Valpak. Our in-house team of design gurus has extensive training in print and digital design best practices and, of course, you have the final say in any design decisions. After all, it’s your business and your brand. Simply choose the creative services you need, and we’ll do the rest! If you’re a new business. Use Valpak to brand your company. We can help you with your logo design, value proposition, marketing budget and to identify your most profitable marketing channels. To retarget website visitors. Hyper-target your digital advertising with Valpak display ads. These ads build brand interest on popular websites and mobile apps to keep your business top of mind with consumers. If you don’t have a website. Let Valpak create one for you! Choose from several templates or a custom design. Your new website design will scale across devices to meet Google’s mobile-first indexing requirements. To increase your search rankings. Increase unique visitors to your website with Valpak’s SEO services, which include keyword research, technical SEO analysis and optimization of the current content on your site. If you need more website traffic. Move your business to the top of search engine results with SEM services from Valpak. Each campaign includes setup, optimization, keyword bidding and ongoing management. To build your fan base. Look to Valpak for social media marketing page development, posting and fan-building on Facebook and Twitter. Use the consumer insights to understand your customers’ needs better. If you don’t know what you want. Start with a business listing on valpak.com and the Valpak mobile app. It’s the easy way to get your business in front of consumers looking to save on your product offerings. Susan Hennelly Nicholas, Partner, Holdsworth & Nicholas, Inc.
Introduce your business to 370,000 prequalified households with Valpak of Greater Fort Worth advertising. Contact us today to reach consumers in Fort Worth and surrounding markets such as Arlington, Keller, Weatherford, Euless, North Richland Hills and Burleson. 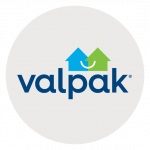 Valpak of Greater Fort Worth is an independently owned Valpak franchise. Ed VanderVeen, event organizer for the Texas Pinball Festival, advertises with Valpak to reach an audience of pinball vendors, collectors and hobbyists within the Frisco, TX area. He has a great relationship with his Valpak marketing consultant, crediting him with explaining the different mailing zones, how many people he could reach and when to mail for the best results. Ed is easily able to track the success of his Valpak mailing by the number of coupons redeemed at the end of the show. The Texas Pinball Festival saw a 300% return on its investment in Valpak marketing and Ed would highly recommend Valpak to any comic cons, festivals or entertainment venues. Fill out the form below to get started on your Fort Worth advertising with Valpak.